Gas transit is network-dependent and it cannot be established without the existence of pipeline infrastructure in the territory of a transit state or the ability to access this infrastructure. Nevertheless, at an inter-regional level, there are no sufficient pipeline networks allowing gas to travel freely from a supplier to the most lucrative markets. The existing networks are often operated by either private or state-controlled vertically integrated monopolies who are often reluctant to release unused pipeline capacity to their potential competitors. These obstacles to gas transit can diminish the gains from trade for states endowed with natural gas resources, including developing landlocked countries, as well as undermine WTO Members' energy security and their attempts at sustainable development. 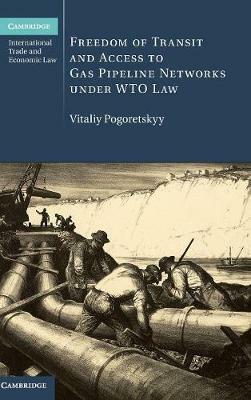 This book explains how the WTO could play a more prominent role in the international regulation of gas transit and promote the development of an international gas market.